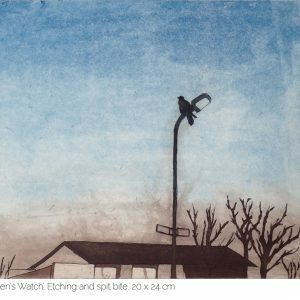 Ciara O'Hara | Wren, etching and aquatint. 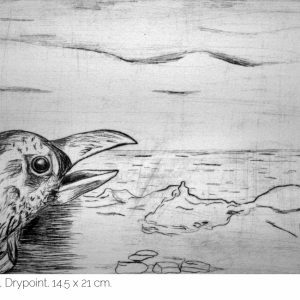 Home / Original Prints / Wren, etching and aquatint. 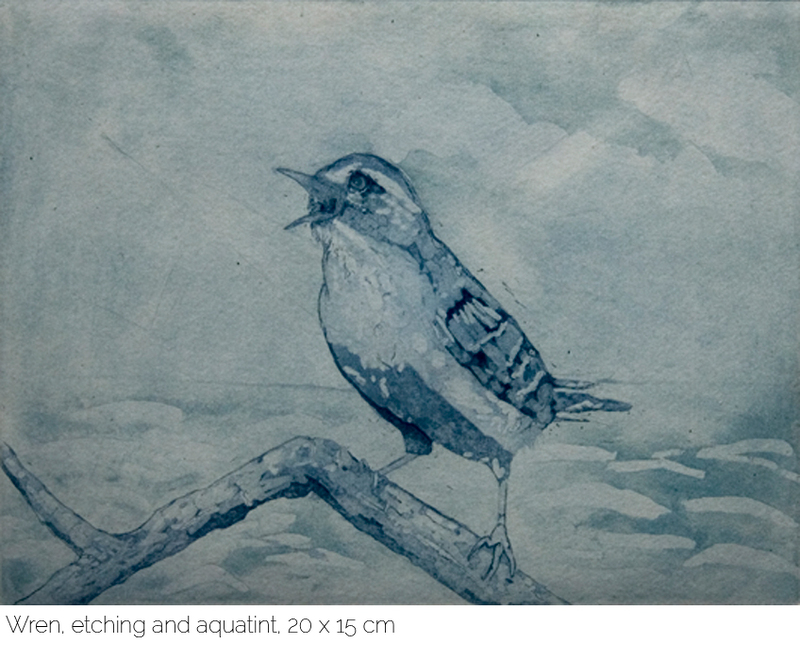 ‘Wren’ is a hand made and hand printed etching and aquatint. It is a limited edition of only 10 copies. The image is inspired by the tradition of the wren day, and stories of the goddess Clíodhna. The plate size of the image in 20 x 15 cm with a boarder surrounding it. It is available unframed and framed (please send me a message to purchase a framed copy). 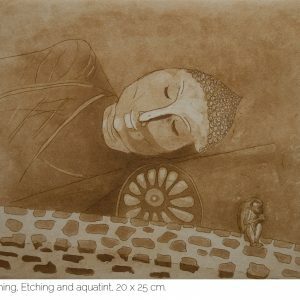 An etching is created by applying a layer of wax to a plate of copper, the wax is drawn into using an etching needle. The drawing is the etched into the metal in a solution of ferric chloride. 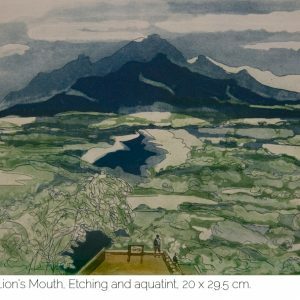 Tone is added to the plate by burning on a layer of aquatint resin, and ferric chloride is then painted onto the plate to give soft variations of tone. Each colour is achieved by using separate plates. A hand operated printing press is then used to transfer the line and tone onto hand made cotton paper.